There are many different hair removal techniques. Some are more physically effective than others, while some methods are more cost-effective than others. 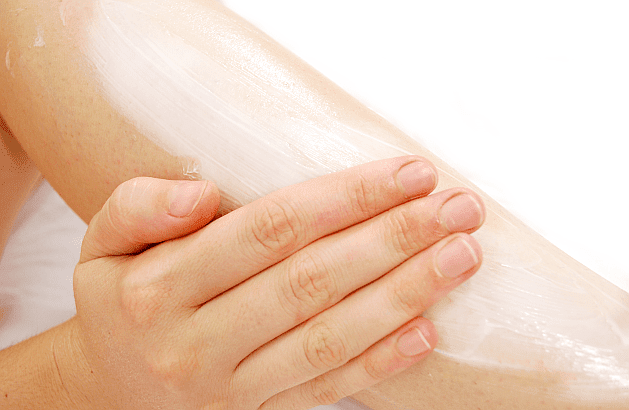 In our last blog, we spoke about waxing and why it is a great way to remove hair. But, what are the other hair removal methods? And how do they compare to waxing?. From shaving to threading to lasers, and the painless techniques against the more painful ones. Let’s take a more detailed look into the world of hair removal. So…What are the different types of hair removal? It is probably safe to assume that before we all knew better; shaving was how we got rid of our unwanted hairs. Of course, the saying ‘a close shave’ comes from this process. And it is because the razors or bladed instruments that are used to complete the shave remove the hair from as close to the skin as possible. The attraction to shaving lies in its notably painless gliding across your skin to achieve the desired effect. The key word here being painless! There is also the fact that the process can be completed from start to finish in five minutes or less (Depending on if you’re in a rush). It all sounds too good to be true right? Quick and easy hair removal technique with no pain! Well, don’t count yourself in just yet. As many good aspects as shaving has, it also has some negative ones. Winter is coming so it is likely, your tights and trousers are coming out of the cupboard from last year. For some of us that means free reign to let all your hair grow out for an extra layer of warmth. But, for the others who still like their legs to be silky smooth. Although no one knows where threading originated, it is thought to be around Central Asia or India. Threading is a great way to remove hairs from the root itself precisely. The thread is doubled over and then can be manipulated by the beautician or therapist to remove multiple strands in a line at once. You can use this technique to remove a lot of unwanted facial hair, including eyebrows, lip, chin, sideburns and cheeks. Plucking or tweezing is only really used to get rid of stray hairs that the thread is unable to reach. Due to how clean threading is, it seems to have overtaken plucking and made it a less useful form of hair removal. It is a matter of opinion, but threading is said to be better for eyebrows specifically. Only because of how precise it can be, and you can shape the brows to exactly how you want. Having said that, waxing is not in any way shape or form inaccurate. And, it is much less painful as the hair is removed in one swift movement whereas threading is done one line of hair at a time. Hair removal creams are an interesting one. To put a long story short they work to dissolve the hair proteins from just under the root. Leaving you able to scrape them off using a spatula that is provided in the packet. When using hair removal creams, you do have to take note of the type of hair you have; thick and course, or thin and light. As this will determine the strength of hair removal cream, you buy. In the long run, this is the most efficient way to get rid of your hair. Not only does it work short term, but it works to stop the hair from growing back semi-permanently. It works when a concentrated beam of light, is directed at the hair follicles. This beam of light damages the follicle so much it does not grow any further. It sounds quite bad, but it does not actually harm your skin or your person. It is solely focussed on the hair. Laser hair removal lasts much longer than waxing. Depending on you as a person it can last for up to five years after having just a few sessions. Which sounds ideal in comparison to the five weeks that waxing gives you. Except waxing is far far cheaper. Lasers are great to remove hairs but only if you are willing to pay quite a lot of money to do so. It can also be a lot more painful than a wax, depending on your pain threshold. The method in which you decide to remove your hairs is entirely up to you. And the results will differ from person to person. In our opinion waxing remains the best way to get rid of the pesky hairs, it keeps your skin looking fresh afterwards, it won’t break the bank, and you don’t have to worry about regrowth for a good few weeks.